Spotlighting this series for you today! Love a good mystery? Check out this series by Andy Siegel. Continue below to get an overview of the series, blurbs about each book and about the author. 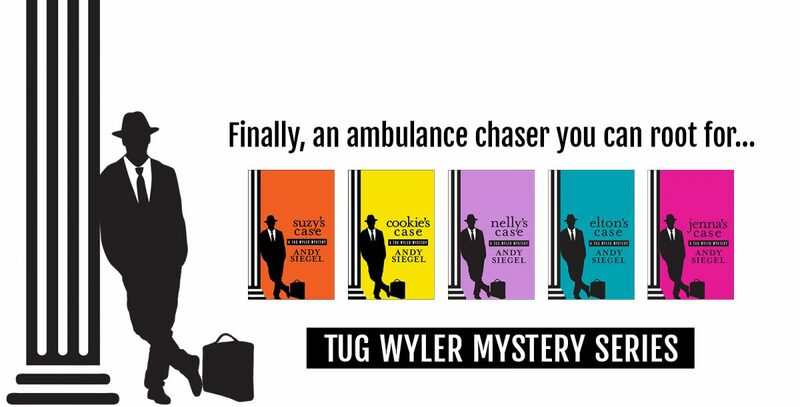 Tug Wyler will thrust readers headfirst into the emotionally charged high-stakes arena of medical malpractice law. At the center of each book lays the rush to cover up genuine wrongs. What keeps Tug digging deeper and deeper into the circumstances is his compulsion to make the system work for people at a disadvantage with their life situation stacked against them. Tug is unswerving in his dedication because justice is an outcome the big insurance companies—through their high paid lawyers—vigorously resist. 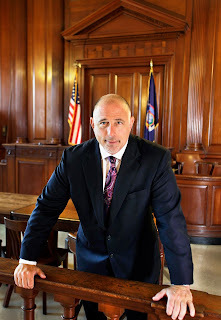 When Henry Benson, a high-profile criminal lawyer known for his unsavory clients, recruits Tug to take over a multimillion-dollar lawsuit representing a tragically brain-injured child, his instructions are clear: get us out of it; there is no case. Yet the moment Tug meets the disabled but gallant little Suzy and her beautiful, resourceful mother June, all bets are off. When his passionate commitment to Suzy’s case thrusts him into a surreal, often violent sideshow, the ensuing danger only sharpens his obsession with learning what really happened to Suzy in a Brooklyn hospital. Did she suffer from an unpreventable complication from her sickle cell crisis that caused her devastating brain injury? Or, did something else happen . . .
Cookie, an angel in stiletto heels, is by far the most popular performer at Jingles Dance Bonanza. To her devoted audience, she’s a friend, therapist, and shoulder to cry on, all rolled into one. While meeting an old pal at the club, Tug doesn’t expect to pick up a new client but quickly realizes the gallant Cookie—dancing in a neck brace, each leg kick potentially her last—is in need of a committed champion. Believing that Cookie is the victim of a spine surgeon with a sloppy touch, Tug takes her case. But as he seeks both medical cure and a fair shake for Cookie, he realizes—a tad too late—that sinister sights are now trained on him. Wrongfully locked up for a crime he didn’t commit, the wheelchair-bound Elton Cribbs's immediate situation soon goes from bad to tragic. Could it have happened that, while in custody and being transported with less than suitable care in a police van, he suffered the injuries which rendered him a paraplegic? Certainly, ever since then—for the past decade—he’s led the life of an aggrieved victim, seeking justice while rejecting pity. Retained now to litigate Elton’s case even as the clock’s ticking, Tug finds himself caught in the unlikeliest of conflicts. After all, what’s he supposed to think when the defendant, otherwise known as the City of New York, begins offering him millions to settle while at the same time maintaining its allegation that Elton’s case is a phony one?